It is the policy of Indo American Hospital to respect the individual rights of all persons who come to this facility for healthcare. 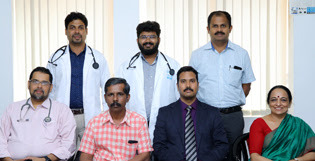 Patient rights include the right to make decisions regarding medical care, the right to accept or refuse treatment, and the right to formulate advance directives (written instructions, like a living will or durable power of attorney for health care as recognized by law in the state of Kerala). Patient responsibilities include those actions on the part of patients required so that healthcare providers can provide appropriate care, make accurate and responsible care decisions, address patients' needs, and maintain a good health care facility. Patients & their families have the responsibility to be mutually considerate and respectful of other patients and hospital staff and to see that your visitors are considerate as well, particularly with regard to noise level and the no-smoking policy. Many patients require a quiet atmosphere for management of their health problems. Please do not play your television or radio loudly. You are also expected to be respectful of the property of others and the property of the hospital. Patients and families have to respect the hospital rules regarding legal, social and religious requirements of the hospital and its staff members and also the safety of its equipment and premises. Patients and families have the responsibility to give accurate and complete information about present complaints, past illnesses, hospitalizations, medications, advance directives and all other matters relating to your health history for you to receive effective medical treatment. Patients in turn have the responsibility to request information or clarification about their health status or treatment when they do not fully understand what has been described. Patients and their families have the responsibility to comply with the treatment plan suggested by your doctor and you have agreed upon to achieve the best possible outcome. Patients and their families stand responsible for the outcomes if they do not follow the treatment and the instructions given by the health care providers in the hospital. The patients and families have the assume the financial responsibility of paying for all services rendered either through third-party payers (e.g., the insurance company) or from your own personal resources for payment of any services that are not covered by your insurance. If you find it difficult then please contact our financial counsellor immediately so that suitable arrangements may be made for you.